Mercedes-AMG introduced the first members of its new ‘53’ models at the North American International Auto Show in Detroit recently, and the new suffix is set to replace the existing ‘43’ ones moving forward. This is according to an Autocar UK report, where Ola Källenius, member of the board of management of Daimler AG Group Research & Mercedes-Benz Cars Development, stated as such. 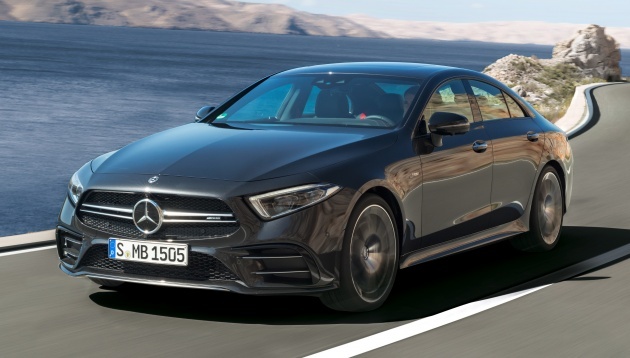 The CLS 53, E 53 Coupe and E 53 Cabriolet, all come equipped with the carmaker’s new 3.0 litre inline-six petrol engine that produces 435 hp and 520 Nm of torque. A conventional turbocharger as well as an electric compressor augments the mill. Power goes to the ground via a nine-speed AMG Speedshift TCT 9G automatic and 4Matic+ all-wheel drive system. The powertrain also features a 48 V electrical system and EQ Boost starter-alternator – the latter offering an additional 22 hp and 250 Nm – making it a mild hybrid of sorts. By comparison, the existing crop of ‘43’ models are motivated by a 3.0 litre biturbo V6 engine that makes less power. Current models with the V6 include the C 43 (Sedan, Estate, Coupe and Cabriolet), E 43 (Sedan and Estate), GLC 43, GLC 43 Coupe, GLE 43, GLE 43 Coupe and SLC 43. As of now, the Mercedes-AMG line-up uses suffixes that include ‘43’, ‘45’, ‘53’, ‘63’ and ‘65’. The adoption of the ‘53’ suffix makes sense in the interest of model hierarchy. Aside from the naming transition, Källenius also didn’t rule out the possibility of all-electric, high-performance vehicles. The company’s prior foray into such vehicles include the SLS Electric Drive, and it has already tapped into electrification to boost performance like on the Project One. While a fully-electric AMG model has yet to be announced, Källenius said “power hybrids” will be part of AMG’s future. In 5 years time, they will run out of number sequence. BTW why the rear looks like Audi?